Since the dawn of WiFi, the world of eCommerce has revolved around a simple evolutionary guideline… big fish eat little fish. 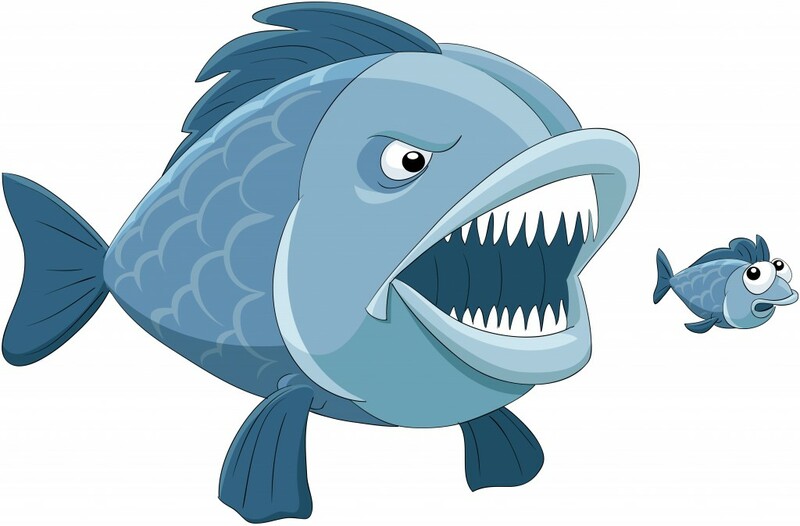 Powerhouse players like Amazon and eBay have all but cornered the market, and that's made it increasingly difficult for ‘little fish’ to carve out a secure piece of the e-sales ocean. Starting a successful online business takes time, even if you already own a popular brand. Reality tells us that you cannot expect to open an e-store and have it become wildly profitable overnight. If you want your business to thrive, you have to work hard and make it happen. The one great thing about modern technology is the seemingly infinite access we have to information of any kind. You don’t need a degree in marketing to know the best practices for SEO, and you definitely don’t need a Masters in advertising to effectively grow your business. All you need is a good idea and the determination to see it through. If you combine those two things with a little outside knowledge, you’ll be swimming with the ‘big fish’ in no time. At 3dcart, we can arm you with the tools needed for eCommerce success because that’s what we do. But if you want your e-store to be truly successful, you have take those tools and get to work. For many of us, the idea of building a business from the ground up seems like a daunting task, but I’m here to tell you that it doesn’t have to be. If you want to start an online store that is capable of thriving in the eCommerce ocean, then perk up and pay attention. First thing’s first. Decide what you want to sell. If you’re not passionate about your product(s), your e-store will likely drown. It’s that simple. So when trying to come up with a stellar concept ask yourself, “What am I truly passionate about?” When you have an honest answer, you might also have a successful idea for an online store. There’s no tried-and-true method in place that will help differentiate a great e-store idea from a bad one. Some of the best online shops in the world sell goods and services that are cool and different. Others excel in a competitive market selling mainstream products only. The trick to coming up with a top-notch e-store is… be unique. Even if you choose to offer products that are sold all over the internet, figure out a way to do it better than the competition. After you've decided on what to sell, it's time to figure out how to build an awesome website that is modern, aesthetically pleasing, easy to use, authoritative and secure. While preparing for the production stage, you will begin to notice that there are dozens of shopping-cart solutions to choose from. Some cost money and others are free and open-source. For example, 3dcart’s eCommerce software calls for a small monthly subscription but comes packed full of features and offers free 24/7/365 email, phone and/or video support. Open-source eCommerce solutions, however, come free of subscription charges but often remain feature-light and provide little-to-no support outside of community forums. Before choosing an online shopping cart, decide what’s important to you as store owner. For some, features and support mean everything. For others, the deceptively free “do it on your own approach” is preferred. Building an eCommerce website entails a seemingly endless string of tasks that can feel like a lot to handle in the beginning. For example, not only do you need to upload a product library to your store, you also need to fill it with SEO-friendly copy, crystal-clear images, customer support features, payment and shipping options, etc… the list goes on. When you’re finally ready to populate your website, be prepared to do some homework. In other words, if SEO is of the utmost importance, read articles/books on how to optimize your business and then put those practices to work. Alternatively, if having a visually stunning e-store is high on your priority list, go out and find material that can help you design a template to meet your vision. No matter what, don’t compromise. Doing something for the mere sake of getting it done will only hurt you in the long run. Once you've spent time brainstorming, studying and building, you just might have an e-store that you can be proud of. That said, now isn't the time to scale back your efforts. When your site has been filled with copy, pictures, features and the like, it’s time to start marketing. For many, creating and launching a successful marketing campaign proves challenging, but like all things in this world worth doing, take your time and do it right. The success of your e-business depends on it. When structuring a marketing campaign, tap into your creative juice once more and figure out how to outswim the competition. The purpose of every business is to make money, but if you approach marketing with that attitude, you probably won’t make a lot of it. Remember, passion is your friend, and the passion you have for your brand should spill over into every campaign you launch. So rather than making the end goal all about sales, try scoping the focus of your campaigns to be as customer-centric as possible. Take time to connect with your community and give them what they want. If you operate under the condition that money is the only thing that matters, you'll quickly lose touch with what really affects your bottom line. When you have a marketing strategy in place, you will need to shift your focus on expanding your customer service department. Trust me, there’s no way to compensate for a lack of quality service. We live in a mobile world that operates all hours of the day, and if one of your customers needs you at 4 a.m., you better make sure that someone’s available to assist. Failing to create a killer customer support team can send your e-business plummeting to the ocean floor, and that’s why I suggest offering round-the-clock email, phone and/or video support. If that seems like too much, then at least sync your smartphone’s messaging system to your e-store’s admin interface so you’re never out of reach. Now that you have a brilliant e-store idea, a beautiful website, effective marketing campaigns and a solid customer service department in place, what’s left? I wish I could say the work was over, that you can idly sit back and watch the dollars roll in. The truth is, however, eCommerce websites require daily maintenance and regular updates. Technology is changing all the time, and so should you’re eCommerce website. Don’t get me wrong, I’m not saying you need to redesign everything on a monthly basis, but you might want to consider revamping your product library from time to time. Also, SEO is an organic thing. One day your site can show up on the first page of Google and the next day it will drop to page five. In order to maximize your e-store’s visibility, upkeep is needed. Don’t falter on this. You’ll thank me in the long run. In summation, consider the following. Evolutionary guidelines change over time. 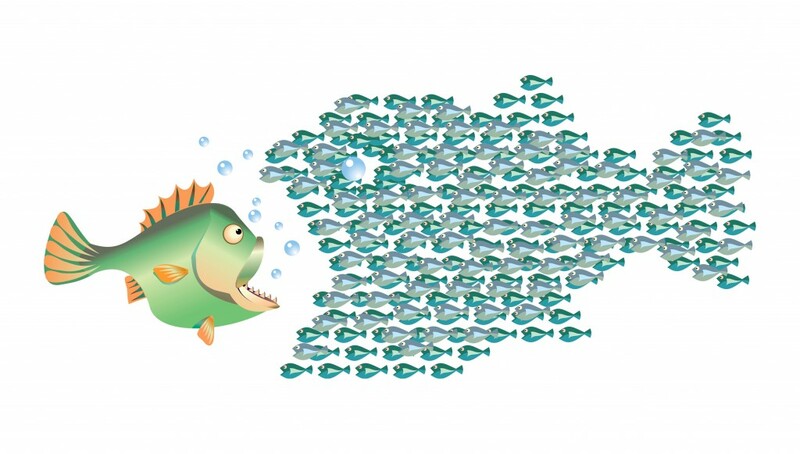 So rather than accepting the notion that ‘big fish’ do in fact eat ‘little fish,’ go out and become the fastest, most intelligent fish in the e-sales ocean. If you commit yourself to that goal, you’ll soon realize that it’s not the size of the fish that matters, but rather the will and determination it has to adapt and survive.